A downtown park provides both local residents and visitors to Vandalia, Illinois with a place to relax or take in local history. Developed by the Vandalia Mainstreet Program in 2001, Lincoln Park is located in the 300 block of West Gallatin Street across from the Old State Capitol. The park includes a water fountain, gazebo, a life-sized statue of Abraham Lincoln, and 1 of 10 Lincoln wayside exhibits. 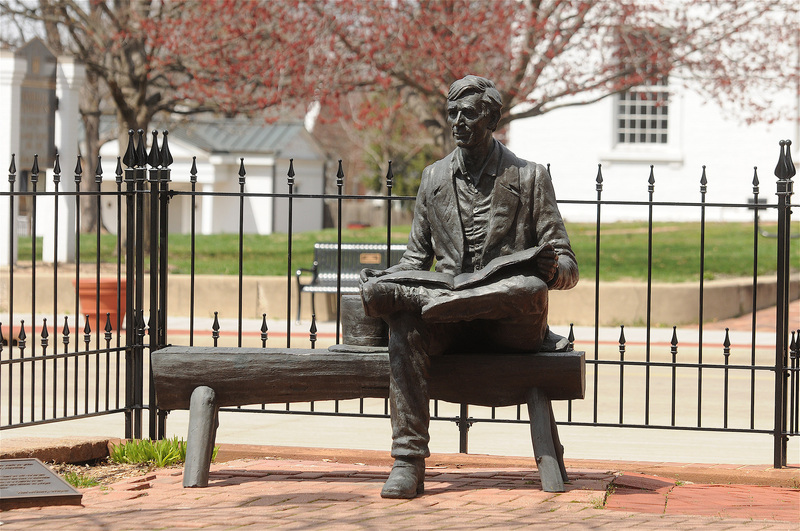 This full-size bronze work by John McClarey of Decatur, Illinois, is entitled "Sitting with Lincoln." It was dedicated on February 10, 2001, and is one of several Lincoln statues in Illinois designed by the sculptor. The statue is located in front of the restored Old State Capitol where Lincoln served as a member of the General Assembly in the 1830s and provides excellent photo opportunities for our visitors.